Athens is in a legal, diplomatic – even moral – quandary regarding what to do regarding Ankara’s request that Turkish 8 military who fled by helicopter to Greece on Saturday (16 July) should be extradited. Turkish Foreign Minister Mevlüt Çavuşoğlu has said that Ankara has demanded of Athens the return eight soldiers who fled to Greece after a coup bid in Turkey. The Greek police have identified the ranking of the Turkish military officials as two majors, four captains and two first-class sergeants, however Turkish sources initially said that they were two majors, a captain and five privates. The eight military landed at Alexandroupolis airport at 11:50 (local time) on Saturday, and as they were arrested they claimed political asylum. “We demanded the urgent return of eight traitor soldiers who escaped to Greece on a helicopter,” Çavuşoğlu was quoted as telling HaberTurk television. The minister said that Greek authorities were ready to cooperate. Greece said it will examine the request for political asylum made by the eight Turkish soldiers. Seven of those on board were in military uniform and all are believed to have been involved in the attempted putsch, ERT TV said. “As far as the asylum seekers are concerned, we are going to proceed according to the international law,” Olga Gerovassili, the Greek government spokeswoman, said. She said Athens was “in constant contact with the Turkish authorities” and would take into account the fact that “the asylum seekers took part in a coup against the Turkish constitution”. Greek Prime Minister Alexis Tsipras early on Saturday expressed his “support for the democratically elected” Turkish government. Athens is in a legal, diplomatic – even moral – quandary regarding what to do, writes The Greek Reporter. “On the one hand, Greece needs to follow the rules of justice as stipulated in the Treaty of Geneva, so as to not end up facing a conviction over the matter at the European Court of Justice. On the other, it needs to maintain neighbourly relations with Turkey and find a golden medium”, the website writes. If extradited, the eight military risk death penalty. Turkish President Recep Tayyip Erdoğan said on Sunday that Turkey would consider reinstating the death penalty after the failed attempt to overthrow his government. 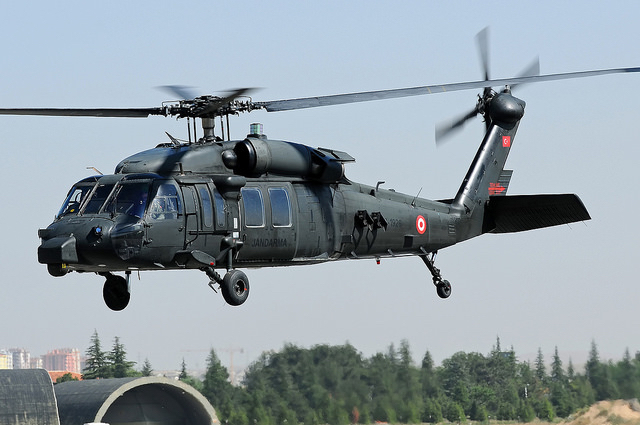 The Black Hawk helicopter has already been returned to Turkey. Turkey is party to the European extradition convention so there may not be much choice. However a thorough questioning might shed some light on precisely what took place there. Indeed these soldiers are a valuable source of information on what is really happening in Turkey. Gift from God , my eye. There is a long planned consolidation of power happening in Turkey. The world knows that.